Last Saturday, 44 women veterans were part of Rhode Island’s first all-female Honor Flight to Washington, D.C. GFWC Rhode Island sponsored the flight as part of State President Karen Leach’s President Project. They decided to find women veterans who were able to serve as the guardians to veterans who would need support during the day so even more veterans could take part! Veterans ranged from a 34-year-old who served in the Gulf War to a 96-year-old who served during World War II. Two World War II veterans, escorted by Karen Leach and Budget and Finance Committee Member Debra Capuano, took part in the wreath-laying ceremony at the Tomb of the Unknown Soldier. This moving moment was also witnessed by Virginia clubwomen, including Jane Albro and Jane Woods of the Fairfax Woman’s Club, and Peggy Schlegelmilch, President of the Northern Virginia District. Clubwomen were joined by GFWC Staff Members Sarah Fannon, Communications and Public Relations Coordinator, and Emily West, Membership Services Coordinator. Veterans Day may be far away, but you can start planning how you can honor female veterans or active servicewomen. 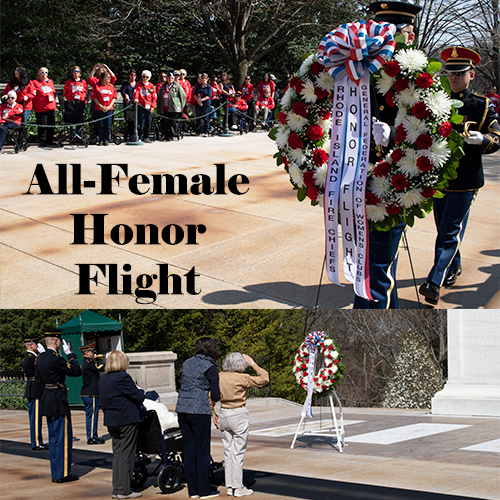 Host a luncheon for them, bring them as a guest speaker to a meeting, provide them with a day at the spa, or fundraise to send an all-female honor flight from your state! 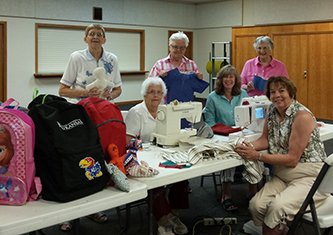 Have you planned your activities for GFWC’s Volunteers in Action week? It’s not too late! Brainstorm how you can join your fellow clubwomen to make April 21-27 a nationwide week of volunteerism. Big or small, your project will make an impact. Volunteering is important year-round, but Volunteers in Action Week is a unique opportunity to unify clubs in every corner and celebrate what it means to take action. Whether you clean up your community or organize a reading hour for local kids, Volunteers in Action week is a chance to show how the collective effort of clubwomen makes the world a better place. Make your community take notice and use our press release template to share the news! Send your success stories to pr@gfwc.org. Register for Convention by April 15 to secure the Early Bird rate! The earlier you register, the sooner you can check that big item off your list and get ready for Austin. It’s hard believe that Brock, the Canine Companion for Independence named in honor of International President Mary Ellen Brock, is already 18 months old! That means he’ll be enrolling for professional training next month. We wish him luck! New Hampshire President’s Project is Nurturing Good Mental Health Through Awareness. One in five people suffer from a mental illness. New Hampshire ranks 50th out of the 50 states and the District of Columbia in providing access to insurance and mental health treatment, according to Mental Health America’s 2019 report. New Hampshire has partnered with two non-profit organizations to raise awareness. The New Hampshire branch of the National Alliance on Mental Illness (NAMI) focuses its grassroots efforts on support, advocacy, and education. The Campaign to Change Direction has the mission to raise awareness of the five signs of mental illness among every school teacher and student in New Hampshire and beyond. At the New Hampshire Fall Field Meeting, New Hampshire’s former Chief Justice John Broderick of Change Direction was a guest speaker. John shared how his family’s life changed overnight when his son attacked him, causing him to be hospitalized and his son’s arrest. It wasn’t until his son was in prison that he was finally diagnosed and treated for mental illness. At the Mid-Winter Meeting, GFWC New Hampshire had a guest speaker from NAMI-NH and held a calendar fundraiser for that organization. It is also planning a comedian fundraiser in the near future. Anne Engelhardt will have visited all New Hampshire clubs during her first year and presented—and passed out materials—about these two organizations. 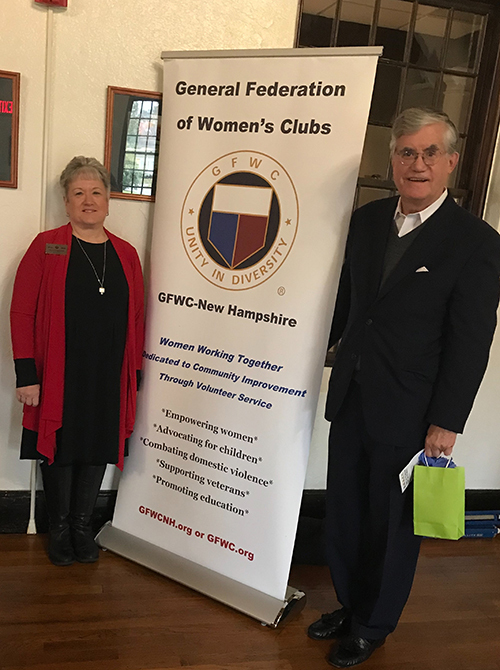 This is a reminder to New Hampshire clubwomen that they are already nurturing their mental health by being a member of GFWC; they are involved, connected, and giving to others. Parliamentary Pointers: When Can the President Vote? In order to run a fair meeting, the president is not supposed to show bias and should preside in an impartial manner. 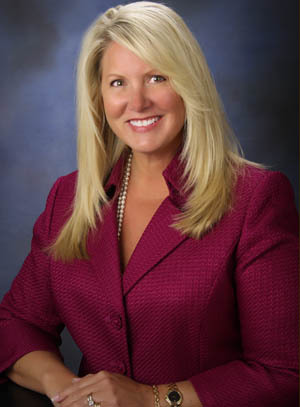 However, she is still a member and is still allowed to vote in certain cases. In the case of a ballot vote, the president can vote at the same time as every other member, as her vote is private and no one will know how she voted. In most cases at meetings, votes are taken by saying “aye” or “no.” Sometimes members are asked to stand or raise a hand to vote. In any of these cases, the president does not vote with the other members, as she might influence them. However, there are times when the vote is counted and ends in a tie. A tie vote is a lost vote. If a majority is needed for adoption, and the president wants this motion to pass, then after everyone else has voted she may stand up and say she is voting in favor of the motion, and it will pass. There are other times when a motion passes by one vote, like 25-24 for example. If a majority is needed for adoption, and the president is not in favor of the motion, she can vote against the motion after everyone else has voted, creating a 25-25 tie. Since a tie vote is a lost vote, the motion is now lost. When a 2/3 vote is needed for adoption of a motion and there is a one-vote difference in either direction, the president can vote for the question to create the 2/3 needed or vote against the question so that the 2/3 needed is not achieved. A president should use this privilege carefully. If she votes this way on every issue, then she is not presiding in an impartial manner. We send our condolences to Lorinda MacLeod, Past Vermont State President (2004-2006) on the passing of her husband, Don, who was a GFWC Booster. Our deepest sympathy to Shirley Gomes, Past Massachusetts State President (1998-2000), Past New England Region President (2006-2008), and Past GFWC Parliamentarian (2016-2018), on the passing of her daughter. GFWC West Virginia, GFWC Colorado Valleys District, GFWC Progress Club of Las Cruces (New Mexico), and GFWC-Battle Ground (Washington) are featured on GFWC’s Blog. Honor a GFWC sister whose inner beauty words cannot express. On April 26, organize an event to plant a flowering tree such as a crepe myrtle, magnolia, or wisteria. Leave your mark on National Arbor Day, and celebrate Federation Day by plotting out final details for your event. Pre-order your Convention shirt when you register for the GFWC Annual Convention! (Early Bird deadline: April 15)! This new option will make your experience even more convenient. Skip the hassle of waiting in line and worrying that your size will run out!